Those looking to relax and have some fun gambling at home should visit the new online casino Slots Hangout. The casino claims to offer the best games chill zone online and it does this by offering games from developers such as Microgaming, Net Entertainment, Elk Studios, NextGen Gaming and many more. Unsurprisingly there are a huge number of slots to enjoy. The games are varied to accommodate all types of players and offer some huge winnings. You can also enjoy games such as blackjack, roulette, video poker and more. 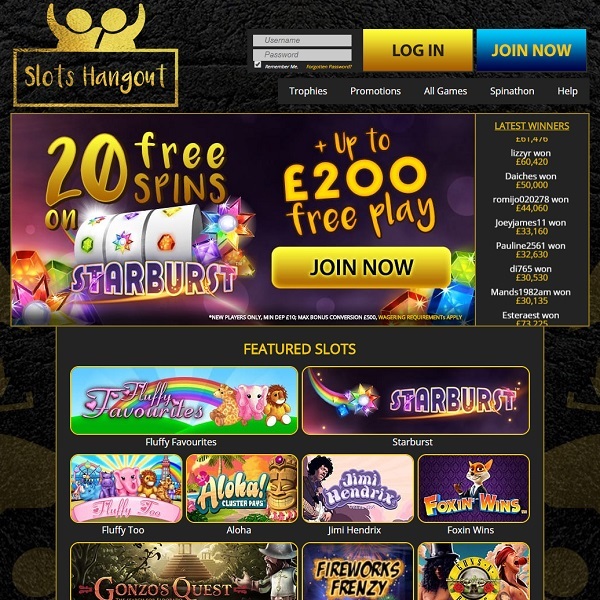 New members are given a 100% first deposit bonus of up to £200 and 20 free spins on Starburst slots. The same offer is available on the second and third deposits as well. The casino has been licensed in Alderney and the United Kingdom and offers customer support via WhatsApp, Live Chat and Email.